As a pilot for a major U.S. cargo airline, I have always tried to do everything I can to maintain the best health possible. From flying the C-5 in the military, to the MD-11 on the commercial side, it became apparent early in my career that I better take care of myself if I ever hoped to enjoy retirement. I thought diet and exercise would take care of any health concerns. I never imagined that one day I would be a pilot diagnosed with Sleep Apnea. I hope that my experience might save another pilot time dealing with the FAA, or quite possibly save their lives. I have always been in good general health. I don’t have any family history of major health concerns. I try to work out and stay active. In mid-2016, out of nowhere, I began to have an unusual heartbeat. At first, I wrote it off as being tired from flying on the “back-side of the clock”. As time went on, I began to have a more pronounced “skipping” of my heartbeat. As all good pilots do…I kept this to myself! I tried cutting out caffeine (that was hard). I tried exercising less strenuously. I would be sitting at a stop light and I could physically feel my heart skip a beat. While I did not want to alarm my wife, I finally felt it was time to talk to her about what I was feeling. One of the reasons I am writing this article is to help other pilots avoid my mistakes. No one wants to go out on long-term medical from their flying job. I was a First Officer at the time. While I was hoping to upgrade to Captain soon, there were no guarantees. I considered holding off on seeing my doctor until I upgraded, but life is too short, and I love my wife and kids too much to risk losing my health or life over the financial difference between First Officer and Captain. So, we decided not to delay any further and see a local heart specialist in the Louisville area. We did all the normal heart testing. I wore a Holter Monitor for a couple of days. After doing the Stress Test on a treadmill, I sat down with the Cardiologist to talk about my results. He said the good news was that my heart was “structurally” in good shape. What I was feeling were called Premature Ventricular Contractions (PVCs). The Mayo Clinic describes PVCs essentially as “extra heartbeats that begin in one of your heart’s two lower pumping chambers (ventricles). These extra beats disrupt your regular heart rhythm, sometimes causing you to feel a fluttering or a skipped beat in your chest.” While I was experiencing a higher than normal number of them, it was not dangerous. Unfortunately, he had no clear reason why I was suddenly experiencing these PVCs. As we were finishing, he recommended I consider getting a sleep study done as the symptoms I was experiencing can be brought on by sleep apnea. 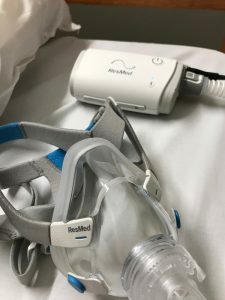 While I had heard of sleep apnea, I had no idea what it was, how it could affect my health or my flying career. I discovered there are two main types of apnea, Obstructive Sleep Apnea (OSA) and Central Sleep Apnea (CSA). Basically, OSA is a structural issue as your airway gets closed off while sleeping. One of the main reasons could be high Body Mass Index (BMI) from being overweight as the extra weight and tissue constricts the neck. The Federal Aviation Administration (FAA) currently considers BMI to be a significant factor in OSA. According to the FAA Website, “Over 90% of individuals with a BMI of 40 or greater have OSA requiring treatment. Up to 30% of individuals with OSA have a BMI less than 30”. So, BMI can be a strong indicator, but not necessarily At 6-feet 2-inches and 195-pounds, I do not visually fit the profile of being overweight. But, according to the FAA scale, I am borderline “overweight” at a BMI index of 25. Find out what your BMI is here. Other causes of OSA are enlarged tonsils and tongue, or nasal conditions such as deviated septum. OSA is physical, but CSA is a neurological issue. Your brain is not properly signaling your body to breathe. So, the issue is not the body, but the brain. CSA is less common than OSA. Also, sleep apnea is just not an issue for men. While men are 80-90% more likely to be diagnosed, some physicians believe that the ratio of actual cases could be much closer to 2:1 or 3:1 for men versus women. There are two ways to do the sleep study. There is a one-night test (Type I) in a sleep clinic. There is also a two-night (Type 2) Home Sleep Study (HST) where they give you the equipment and send you home to your own bed. My understanding is that the clinical study (Type I) is generally more accurate as they have a lot more electrical leads on your body and monitor more aspects of your sleep, including video. But, many people find it hard to sleep in a strange bed and don’t sleep well. I opted for the home study (Type II). I picked up the equipment at the sleep doctor and used it for two nights. events per hour during the sleep study, they are diagnosed with sleep apnea. What is an “apnea event?” That means you stop breathing for >10 seconds. Not good! For OSA, you must use a Continuous Positive Airway Pressure (CPAP) machine. Essentially, you wear either a full face (over nose and mouth) or nostril pillow (under each nostril) mask. This mask forces air into your airway to keep it open. The “AutoSense” style machines start at a basic level of pressure, sense when you are having an apnea event, then increase the pressure to the level necessary to keep you out of apnea. I will tell you it is really tough getting used to this sensation. It’s like having an octopus stuck on your face. My sleep doctor warned me it would take time. If my career didn’t hinge on wearing this mask, I would have given up. He told me it could take three weeks to begin feeling better. After two weeks, I was ready to call it quits. Sure enough, after three weeks, I did begin to feel better. After one month, my heart was 95% better. What Happens if I’m Diagnosed with Apnea? If you are clinically diagnosed, in the eyes of the FAA, you are immediately considered unfit to perform flight duties. This is where you need to have all your “ducks in a row”. Once diagnosed, your sleep doctor will order your CPAP machine and supplies, which in my case took three days. You will then visit the local supplier and they will fit your mask and set it for the proper air pressure to relieve your symptoms. You must demonstrate for 14-days that the CPAP treatment alleviates your AHI levels to < 5 AHI per hour. The CPAP machine records all your data so you can monitor each day how you are doing. You must wear your mask >= 6-hours per day during the trial period. You need to have your 14-day follow-up visit scheduled with your sleep doctor right away. The sleep doctor will analyze your data to ensure you meet the FAA standards. Then, you will both fill out the AIRMAN COMPLIANCE WITH TREATMENT OBSTRUCTIVE SLEEP APNEA (OSA) form. Once this form is filled out and you have proof of compliance (sleep report), you should immediately be cleared to begin flying again for your company. You must report this diagnosis and all supporting documentation during your next FAA medical. If your company or union has an FAA designated doctor, you should consider keeping them informed and part of this process all along the way. I did, and the union doctor helped me submit all the documentation directly to the FAA so that I did not have any interruption in my medical privileges. What do I do at my Next FAA Medical? Unfortunately, you are now marked out by the FAA and must be issued a “Special Issuance” every year by the FAA. You must submit all your sleep records to the FAA showing your compliance of 6-hours a night, 75% of the time. In addition to the sleep documentation, you must also submit another AIRMAN COMPLIANCE form annually. Is it Easy to Comply with FAA Protocol? Honestly, complying with the 6-hours a day, 75% of the time can be very challenging. Flying for a night-freight carrier, my sleep cycles can be sporadic. If you have good seniority and steady flight schedules, you may not find it as difficult. But, I bid morning turns which requires I go to bed early and get up very early. Sometimes I only get 4-5 hours before I leave, then get my last two during a nap when I get home. You just have to be proactive! What if I travel all the time? I use the “ResMed Airsense 10 Autoset” machine at home. It has a humidifier tank that moistens the air, which helps prevent dry sinus passages. But, packing and unpacking this thing is a pain. So, I purchased a “ResMed AirMini Autoset” machine. It’s about the size of an iPhone and super easy to pack. I will review both machines for you in the near future. If you have the opportunity, I highly recommend having two machines for airline pilots or people who travel a lot. Insurance will generally only cover one machine every five years. So, the travel machine will be out-of-pocket. So why should I care if I have Sleep Apnea? You may be thinking this sounds like too much work, and the risk of being diagnosed could hurt your career. Well, if diagnosed, there will be work and you will need to take steps to get your FAA medical squared away. But, the risks of not fixing this problem are too high. I have met guys who use CPAP machines but don’t disclose that to FAA. I would caution you that if you are ever involved in an aircraft mishap, they will look back into your health history. These apnea events put a huge physical stress on your heart. Couple that with being overweight, and you are reducing your life-span. Also, I never realized how fatigued I was. After a month, I literally felt like a new person. 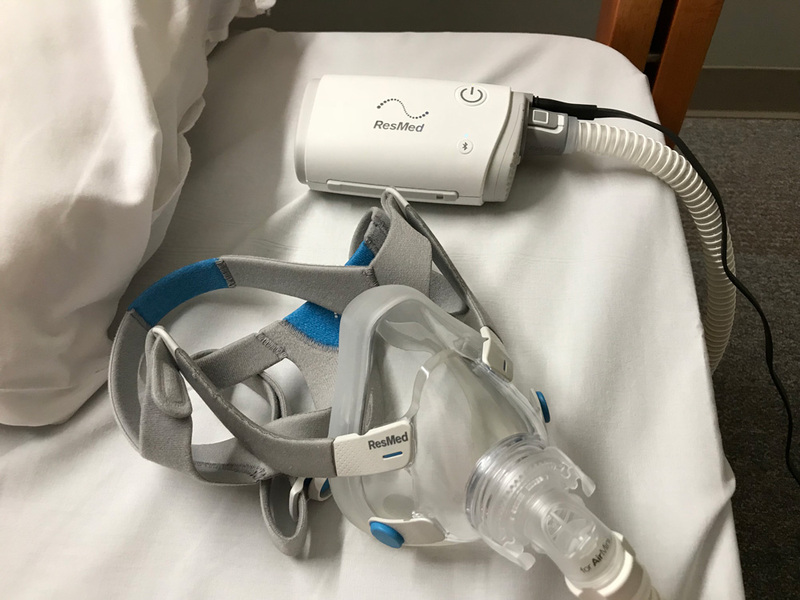 Over one year later, I couldn’t imagine getting restful sleep without my CPAP. You will never get completely used to having the mask on your face. It is inconvenient. But, please don’t try to “power through” with undiagnosed sleep apnea. Your life is worth more than the inconvenience. Your family and the other crewmembers you fly with will thank you and enjoy being around you for the time God has you on this earth. You earned your retirement. Get all the retirement checks you can!! !